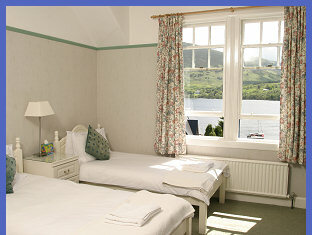 The Lochearnhead Hotel has 10 ensuite rooms: five twin rooms, 4 doubles and a family room. All have tea and coffee making facilities, hairdryers and televisions. Many have beautiful views over the loch to the hills beyond. We also have a cot and fold-away bed which can be located in some of the rooms. Please see our tariff page for the appropriate rates.